The abuse MLS officials deal with on a regular basis has reached “inappropriate” levels. And the commissioner Don Garber thinks it’s time to take action. “Our officials are a lot better than people give them credit for,” Garber told the Toronto Sun. “We track it. That’s not just my opinion. I attended a game with someone at Red Bull Arena. That person spent the entire game complaining about the officiating. Happened to be a Red Bull fan. They didn’t like the outcome. Ultimately, though, [referee Baldomero] Toledo had a very good game. He didn’t make many mistakes. No official is perfect. He controlled the game. I thought it was well done. 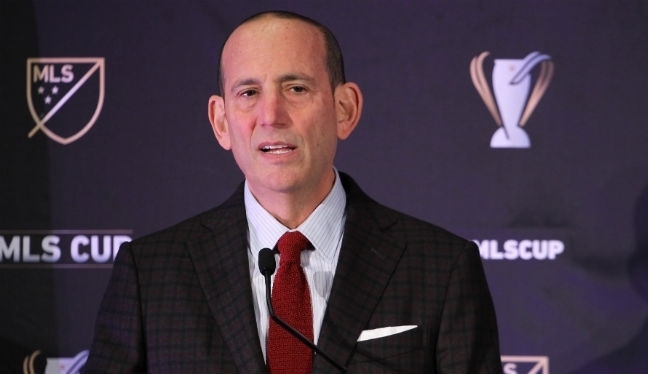 Garber hinted there could be stricter consequences if referee abuse doesn’t subside in 2016. “There’s a level of vitriol that I think exists with officiating in our league and many other leagues that is unfortunate,” Garber added. “These are guys who believe in the sport and are working full-time in our league. I think they deserve to be respected more than they are. I know that’s a controversial thing to say. That’s not just our fans, it’s the players and coaches, as well. It’s something we’re going to be looking at in the off-season because it’s really unacceptable.